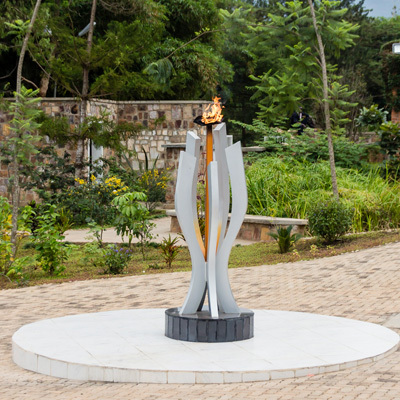 A 4-day Gorilla Safari that starts and finishes in Kigali. This safari can also be done on a private basis. (One PNV gorilla permit is included in the cost but the other gorilla tracking require a supplement to be paid at the time of booking). 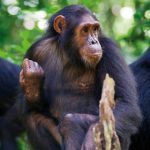 Seeing some of the last remaining 700 mountain gorillas in the world is a fantastic experience and this safari takes you to Volcanoes National Park in Rwanda. It offers an opportunity to track gorillas twice. 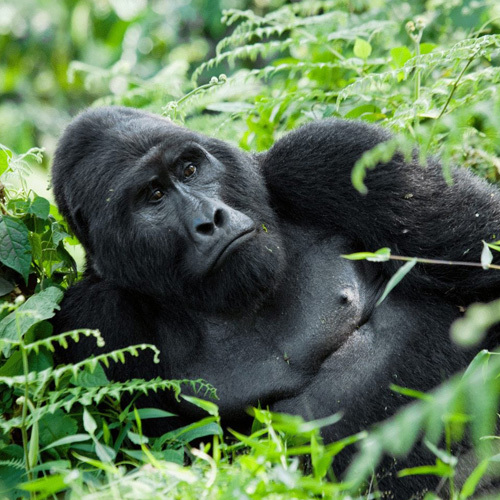 Parc Nationale des Volcans in Rwanda has ten habituated gorilla families and tracking most groups in the afro-montane forest usually takes only a few hours. 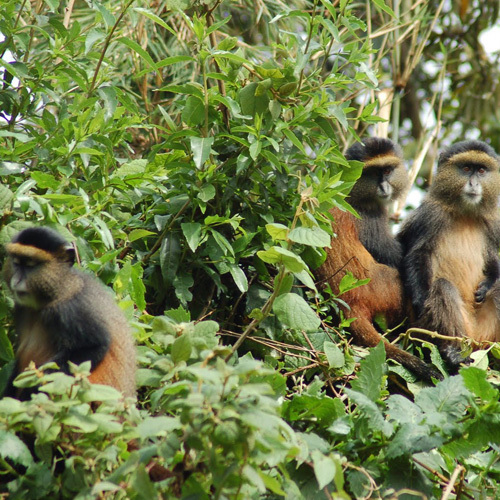 You can also climb a volcano, visit the remains of Dian Fossey’s grave or visit the endangered golden monkey. On safari, clients stay three nights at Volcanoes Virunga Lodge. Met on arrival at the airport and transfer to Kigali. Briefing on your safari After lunch, depart for PNV at 2 pm. 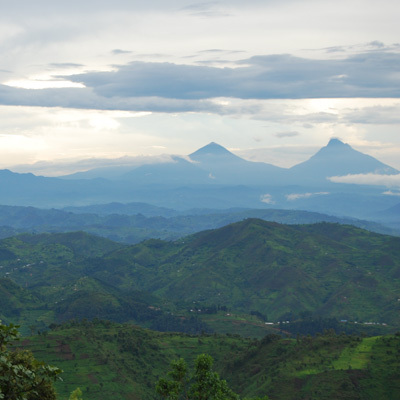 The journey north goes through the beautiful terraced hillsides that characterize much of Rwanda’s landscape, gradually climbing to the base of the awesome Virunga volcanoes, sometimes with as many as five peaks visible. O/N: Volcanoes Virunga Lodge (FB). 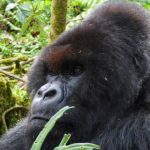 Go gorilla tracking in Parc National des Volcans (subject to permit availability at the time of booking). Tracking the gorillas through the light mountain forest on the slopes of the Virungas is a magical experience. If you are lucky you can get to the gorillas, spend an hour with them, and be back at the base in time for a late lunch! Some gorilla families, however, are more elusive, and tracking can take a full day, especially when it is wet and muddy. O/N: Volcanoes Virunga Lodge (FB). Go gorilla tracking again in Parc National des Volcans, or visit the golden monkeys or drive to Gisenyi, visit Ross Carr’s orphanage and Lake Kivu or climb the Visoke/Muhavura volcanoes, or trek to Dian Fossey’s grave, or visit the local school, community projects or walk to Lake Bulera. O/N: Volcanoes Virunga Lodge (FB). Leave for Kigali. 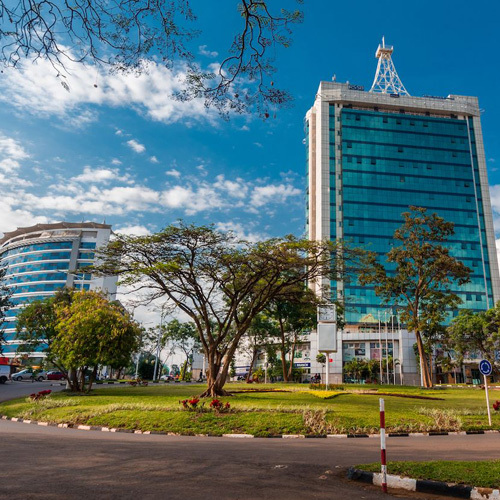 Time permitting; go for a tour of the city including a visit to the market, a pottery project, handicraft shops, the Franco-Rwandan cultural centre and the genocide memorial. Transfer to the airport (HB).